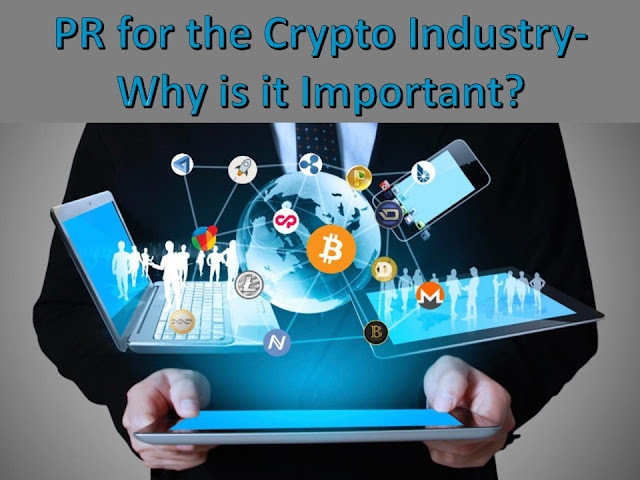 PR for the Crypto Industry- Why is it Important? Home / Cryptocurrency / PR for the Crypto Industry- Why is it Important? Creating awareness and fostering public trust are two of the main goals of any Public Relations campaign. However, it takes years to build a good public image. You can leave it to chance or take charge of your campaigns. In the crypto industry, you have no room to leave your PR efforts to chance. Your startup’s reputation means everything for your business; something that most crypto businesses don’t understand. While there are dozens of successful cryptocurrency startups in the industry, few of them have solid PR campaigns. Most startups have often neglected marketing and communication in general. On cryptocurrency related forums, threads about poor communication and customer support by blockchain startups dominate discussions. In early January, Chinese startup, TRON, came into sharp media focus after a post on the Washington Post undermined its legitimacy. The post claimed that TRON was just another scam coin with a whitepaper filled with big words. The company responded to the criticism, but in an unexpected way. TRON’s founder, Justin Sun, dismissed all claims about the company’s plagiarism accusations. He instead blamed volunteer translators, accusing them of doing a sham job. What followed was that the TRON coin’ went down from 29 cents to 10 cents within one week. The coin has since risen again to 32 cents at the time of writing, but its reputation is still struggling. What is PR to Crypto Startups? Public relation is a much broader industry, and any effort aimed at improving relations with the public can be considered as PR efforts. So, why is it important, how should it be done and by who? Why is PR important to crypto Startups? This comes obvious. When you come up with a project in the boardroom, you want to publicize it and attract attention. Good communication skills and a well-executed PR campaign can attract the right attention to your project. There are numerous ways to create awareness for your project. We shall highlight some of them below. Companies like aBitGreedy offers great advice about PR particularly for startups with plans to hold and ICO. You can learn how to create smart, measurable, realistic but timed strategies for your oncoming ICO on the site. Stakeholders in any tech startup want to work with confident founders. From investors to advisors, employees to the government, they all want to be convinced that you are running your crypto startup in the right way. Increasingly, government authorities are paying a lot of attention to crypto startups. They want to ensure you are not out there to scam people. Your employees want to be appreciated, and investors are keen to watch how you are running the company. A good PR campaign focused on all stakeholders can ensure everyone is satisfied with your work. However, if employees, advisors, investors or government authorities mistrust your company, it's very likely that it will fail. Startups like Ethereum, Coinbase, and Binance have one thing in common: they have a solid brand. Everyone in the cryptocurrency industry knows these companies. But they all started from scratch. Ethereum had to hold an ICO to raise funds, and Binance keeps constant communication at all times. The key to building a brand in the industry is to communicate effectively to the right people and at the right time. Make all important details about your startup public, and constantly communicate even when you don’t feel like it’s necessary. Almost every cryptocurrency startup has had a crisis. Whether it is a hacking attack, claims of poor customer support or general bad press, most startups in the industry have had to handle a crisis. However, how you handle unwanted publicity is what matters the most. A few companies have overcome unwanted publicity in the past, mainly because they handled communication in the right way. Most crypto startups are founded by developers and software engineers. Their team of advisors consists of industry leaders, but hardly anyone qualified to run a PR campaign. If you want to run a successful PR campaign, let professionals take control. Hire the best PR experts in the industry and work with them at every step of your campaign. After reaching out to the media, creating awareness on social media and achieving some of your goals, evaluate the whole campaign. PR campaigns can be expensive, and you want to ensure that you at least achieved the most important goals for your campaign. Analyze your achievements and the weaknesses of your campaign. Improve on them in your subsequent PR campaigns. PR is a continuous process. It never ends as long as you want your company to succeed. Fortunately, you can take control of your PR efforts and ensure that you are doing everything possible to build a brand. Start by taking care of all your employees. Communicate with stakeholders and keep in touch to ensure that questions are answered, and any clarification is communicated to the right people effectively.